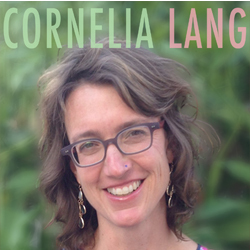 In this episode, we talk with Cornelia Lang, associate professor of astronomy at the University of Iowa. Cornelia teaches one of Iowa’s “Big Ideas” courses, which are large-enrollment, interdisciplinary, team-taught courses that satisfy general education requirements. And she teaches this course in one of Iowa’s active learning classrooms. In the interview, she talks about the kinds of hands-on, laptop-enabled activities she engages her students in when she’s got access to the affordances of an active learning classroom. 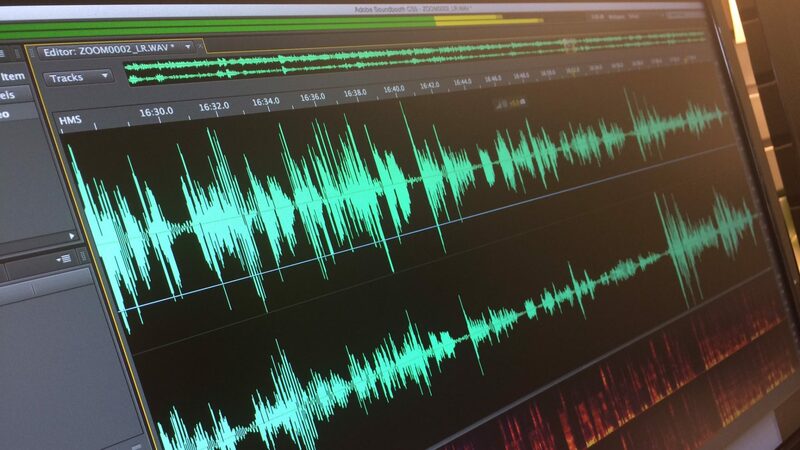 Derek Bruff: [00:05] Welcome to “Leading Lines,” a podcast from Vanderbilt University. I’m your host, Derek Bruff, director of the Vanderbilt Center for Teaching. [00:12] In this podcast we explore creative, intentional and effective uses of technology to enhance student learning. Uses that point the way to the future of educational technology in college and university settings. [00:23] It’s the start of the semester for most of us, and usually at this time of the year, we see a flurry of essays and blog posts about laptops in the classroom, specifically whether or not to ban laptops in the classroom. [00:34] On the one hand, many students have laptops and like to use them to take notes during class. On the other hand, we know how easy it is to get distracted while using a laptop. And there is that one study that shows that taking notes by hand is better for most students than taking notes from a laptop. [00:47] This debate can get pretty hot with strong opinions on either side. [00:52] Personally, I find the debate a little bit frustrating because it seems predicated on a really faulty assumption that the only thing a student might do with a laptop during class is take notes. That’s slightly ridiculous. [01:03] Our laptops ‑‑ heck, our phones ‑‑ have more computing power than the computers that sent astronauts to the moon. Surely, we can think of something more useful to do with them during class than just take notes. For that matter, what about the assumption that students should be taking notes during class? [01:16] Doesn’t that imply that class time is for some kind of information transmission from instructor to student? That’s a really traditional model of teaching, one that’s been shown less effective than more active learning approaches time and time again. This month Leading Lines has a pair of episodes that look at the use of laptops in the classroom. [01:33] Both episodes blow up the assumption that laptops are there for note‑taking and they push back on that transmission model of college teaching, too. In fact, both episodes explore the use of active learning classrooms — classrooms that are outfitted with a range of educational technologies from movable furniture to whiteboards to good WiFi to AV systems designed to support active and collaborative learning. [01:53] On this podcast, we’re trying to shape the future of educational technology. I think, and our two guests this month would agree with me, that that future is active. In this episode I talk with Cornelia Lang, Associate Professor of Astronomy at the University of Iowa. [02:07] Cornelia teaches one of Iowa’s big‑ideas courses, which are large‑enrollment, interdisciplinary, team‑taught courses that satisfy general education requirements. She teaches this course in one of Iowa’s active learning classrooms. I met Cornelia a few years ago at a conference and I was impressed at how she transformed a traditional lecture hall into an active learning environment through the use of technology. [02:27] In the interview she talks about the kinds of hands‑on, laptop‑enabled activities she engages her students in when she’s got access to the affordances of an active learning classroom. Derek: [02:41] Welcome to the podcast, Cornelia. It’s really nice to see you and talk to you here today. Derek: [02:47] Can you tell us a little bit about who you are and what you teach at Iowa? Cornelia: [02:53] Absolutely. I am an Associate Professor of Physics and Astronomy here at University of Iowa. I would say that primarily for the last ten or more years my focus has been on general education courses in the natural sciences. [03:08] For many, many years I have taught the big introductory astronomy lectures. We have several flavors of that here at Iowa. More of a stars and galaxies flavor, and more of a exploration of the solar system flavor. [03:21] In recent years, I have taken the third flavor of that astronomy sequence, life in the universe, and I have adapted it into something we call Big Ideas Course. This is a course that draws on the idea of life in the universe, but includes faculty from the various disciplines that really contribute to the best way of thinking about that idea. [03:45] I have a colleague in biology and a colleague in geoscience and the three of us teach a course together where students actually see us up front asking each other questions and kind of learning in an interdisciplinary way from each other. And that class is not small. It’s about 80 students, and that class is taught in an active learning classroom. Derek: [04:09] I want to ask you about the classroom and what you do with that space, but can you say a little bit more about the Big Ideas program and what makes it a little bit different? Cornelia: [04:16] The Big Ideas program is still a little bit of an informal program at University of Iowa, but we have seven courses now. We have seven teams of faculty who together have developed these general education courses. They’re not all in the natural sciences. [04:32] The two I’ve developed about the origin of life and the evolution and search for life are centered around the natural science requirements for the gen ed program, but most of the other courses are satisfied — social science, or international global studies, or visual literary performing arts, diversity and inclusion gen eds. [04:57] These courses I think are different in that students are exposed in their general education curriculum to the idea that probably the most pressing and most urgent, really most interesting issues right now that they will encounter have to be addressed by multiple perspectives. [05:15] We feel like visually they literally need to see two or three people upfront talking about the same thing. Actually, structurally these are different team teaching experiences than some people might be familiar with, where a person, an expert say on the eye comes in for a week and then the expert on the ear comes in and then the throat; and as the ear person is leaving, the throat person is coming in. [05:39] In our class we basically are required to go to each other’s class periods. In fact, there’s almost never any one person that is completely in charge of the day. [05:50] For instance, this afternoon, in a few hours, we’re going to be talking about the idea of extreme forms of life on planet Earth. I’m teaching it with the biologist today. He’s going to talk a little bit about energy and metabolism of simple life and I’m going to give examples from extreme organisms on Earth that they would have read about before class. In our activity we’re going to match those two extreme environments in the solar system. [06:16] Different groups of students in the classroom are going to have to match an extreme organism with an extreme environment and then present to the class why they would look for a cold‑loving bacteria in the outer part of the solar system, for example. [06:31] We sort of do that in real time and I make it clear that I wouldn’t be able to understand extreme bacteria if it weren’t for the help of my biology colleague. Derek: [06:43] Okay, so that gives me a flavor of it. So talk a little about…these are larger courses, right, you’ve got…? Cornelia: [06:50] Right. We have about 80 students in the Big Ideas Courses, and they are taught in the largest active learning classroom at the University of Iowa which has nine tables of nine. [07:01] We do a lot of…We’ve become very good at multiplying by three, dividing by three, dividing by nine. We do a lot of activities where the table gets together and is given, say, an extreme environment. That will happen this afternoon. [07:16] One table will get the satellite of Saturn called Enceladus. Different teams at that table, teams of three, will be assigned to research or to pull out from their reading for the class period, different aspects of Enceladus’s physical properties, history, geologic properties. [07:38] Then there will be time in class for those three groups to share with each other and come to some consensus at the table, and perhaps match a bacteria, like I said before, to those properties. Usually there’s a moment where they need to write some key points on a whiteboard. [07:55] We have this new, wonderful piece of technology in the active learning classroom this year, which is the catch‑box, which is a cube microphone. It’s very responsive. We literally throw it around the classroom, so students know that microphone, with some advance warning, might come right at their table and somebody’s got to reach up and grab it. [08:17] It’s a very fantastic quality microphone. It’s really a great way for everyone in the classroom to hear the synthesis of the information. This is what I’m expecting that will happen this afternoon is table nine will have Enceladus. They’ll have had some time to work as a team using, again, whatever Internet resources. We guide them to good ones. They can use their reading. That’s a way that they’re also using the computers in the classroom. [08:44] We give them some time and support by facilitation, and then we will basically have the tables report out. We encourage the other tables to ask questions. We can throw that catch‑box across the room. Somebody on the other side of the room can easily ask a question to their Enceladus table. Derek: [09:02] So the table has a deliverable of some sort? Cornelia: [09:05] They have a deliverable. In terms of how technology maps onto that, if you’re interested in that, there’s a lot of different things happening. They are working…Every class period, our big idea students have a worksheet that has been designed by the team of faculty and often looked at even by the TAs. [09:26] That worksheet is delivered to them through our university’s OneDrive system. We have no paper in the class. That means that the laptops are open and some students are using their personal laptops possibly to take notes, although we see a lot of students writing notes in notepads. [09:43] And there’s a team laptop that has the OneDrive file open. In some groups where students want to use their own laptops they might have their own copy. If you know anything about OneDrive, multiple people can edit at the same time. It’s fantastic. [09:56] The servers and stuff on campus completely support that, so we can have multiple people collaborating on a document in real time. That’s one thing they’re doing. [10:05] Another aspect, when they have reached a consensus, we often have them summarize their talking points on the whiteboard. We often have them draw pictures. There’s a lot of great stuff to draw pictures with. [10:17] Sometimes what we do is we keep a tally of how things are going in the classroom using the document camera. We might have a list of planets, and when your group has finished matching the extremophile, you might come up to the document camera where the list of nine teams lives and you might put in your extremophile match. [10:38] A lot of times we say there’s a little bit of a race element. If you decide on your extremophile and put it up there, another group can’t use the same one. [10:46] We really love the document camera for helping us figure out which groups are lagging behind and which groups are ahead, and also a little bit of peer pressure. We can quickly look at the document cameras. [10:57] We’re wandering around the room and say, “OK table four. Let’s get your extremophile up on the document camera. You’re the last group that hasn’t filled that out.” It’s a way to, in a friendly way, keep track of the time management because when you’ve got nine groups of nine there’s a lot of people to manage. Derek: [11:14] Sure, it’s one of the things that I like about a classroom response system. It’s a subtle feature, but the fact that you can see the count of how many people have responded to a polling question, it gives you a sense of the pacing. It gives the students a sense of the pacing. It sounds like your document camera serves a similar role. [11:31] Say a little bit more about what the room looks like. I assume there’s a projection system of some sort. What’s your whiteboard to team ratio? Cornelia: [11:40] That’s a good question. [11:41] We basically have fantastic whiteboards. They’re a little bit glassy. They’re very high‑quality ones and they actually cover all the surfaces in the room. It’s a very big room. It used to be a library. Some of my colleagues are still a little sad when they walk by the active learning classroom. [12:00] There’s ample whiteboard space. In fact, there’s more whiteboard space to table than there probably needs to be. For a course where we examine the deep history of time on our planet, we often make a timeline around the entire room and have tables contribute to different parts of it. [12:18] We do that multiple times because there’s the deep history of the universe, there’s the deep history of life on earth. There’s even the deep history of life since the pre‑Cambrian boundary. [12:30] We do this multiple times during the semester. One of the other things that we often do is, on our document camera again, we often will have just the timeline of the universe there. [12:54] We have a visual guide for where we are. That just happens to work for our class. You could imagine doing a slightly different thing. [13:03] We have a really high‑quality HDTV for each of the nine tables. In addition to that we have four larger screen‑size projectors. We are often displaying one thing on the four large projection screens, say the running tally on the document camera. On the smaller screens we can display perhaps the instructions for the activity, or a series of images that go with their activity. [13:35] We do a lot of things where they have to put images or concepts in order. We do a lot of ordering. We might actually have the list of possible items in visual form on the small screens. On the whiteboards they’re putting them in order. On the document camera, on the big projector, on the big screens they’re recording their teams’ guess, or something like that. [14:00] I have to say it’s very seamless. We’re lucky that we often have multiple faculty in the rooms. There’s always an extra pair of hands on deck. All of us know how to use the technology. There’s no time in which the technology hasn’t worked. There’s no delays. I think, to the students, it seems pretty seamless. Derek: [14:21] Can you say more about what you and your co‑instructors are doing during these student activities? Cornelia: [14:28] Primarily we are facilitating. In a way that active learning really works best. The students are helping to teach each other. They are teaching themselves and then they are asking us when they need guidance. [14:46] We really refrain from giving them straight answers. A lot of our activities are designed that we personally couldn’t give them the exact answer for what they’re being asked to do because it builds on two or three steps that have been developed earlier in the question and, again, a lot of this work is team and table specific. [15:06] We’re kind of in a good situation where we have to say, “Well, have you considered the temperature of the planet?” I don’t actually necessarily have to know the exact temperature of the planet. [15:15] They’ve got any data that they want at their fingertips with the Internet, but I can help them move from understanding that the temperature of the planet will then, say, help them decide what type of extreme bacteria would do the best in thriving on the surface of that planet…or I can point them in the right direction. [15:55] I would say that’s one of the biggest challenges in those large groups of students in an active learning classroom is it can very easily go from…Most people focused on working really hard to everybody talking about what they’re going to do after class. You have to really take the temperature of that. [16:12] We try to make the most of those moments when we can see that half the class is ready to go on. We can send around…We’re lucky to have a couple of TAs usually in the room. If we can identify the teams that are lagging behind we can spot‑send a TA over and that person can quietly get that group up to speed. [16:45] We try to get everyone’s attention. We’re challenged in that room because we have two very large pillars. Derek: [16:51] I was going to ask about line of sight. Cornelia: [16:55] That’s why when I mentioned that catch‑box being a very good quality microphone. That make a huge difference in terms of allowing…There’s table three, it’s one that’s behind a pillar. Table one is a little bit behind the pillar. Table six is a little bit of an outlier. [17:13] We make sure that if students at those tables are speaking, that they have that microphone. Cornelia: [17:18] We also rotate. Rotating the teams can be complicated when you’ve set it all up, but what we like to do is move the entire table. Derek: [17:27] So all nine students will move to a different physical table. Do you lecture at all in this type of environment? Cornelia: [17:35] We do. We give mini‑lectures. When I was just looking through the notes for this afternoon…I’m going to open up and show the timeline and probably talk for a couple of minutes about extreme environments in the solar system. [17:49] Then I’m going to say out loud, since I am not a biologist and I don’t know about how bacteria work, I need to rely on my colleague, Andrew, who has a background in biology to help me better understand this. [18:02] He is then going to talk about how organisms get energy from different kinds of energy sources, and we’re going to give the example of photosynthesis as the way that most organisms on Earth get energy. [18:16] We’ve developed an activity where they write a very basic equation, a conceptual equation, for how plants get energy from sunlight, and that’s going to be up at the whiteboard. Our class starts at 3:30. I would say by 3:40, the students would be standing up at the whiteboard doing something. [18:36] We come back to that. Our format is, we do a little bit of mini lecturing. We have them doing activity. We do the report‑out, the regroup, and then we start the cycle again. Then we would have the next concept. [18:47] In our case, the next concept is going to be respiration, and using chemical forms of energy rather than sun. Then we’ll have them do something. Then the last part of the class would be focused on these extreme planetary environments. We’ll switch back and forth. Andrew will lead the first two parts of the class, and I’ll lead the third. Derek: [19:07] One of the concerns I hear from faculty when I describe these types of classroom structures, I would say, is that I think particularly, if I’m used to lecturing a lot and coordinating the class, and in a centralized way…What you described is really decentralized. [19:25] You’re going to get student to do the activity. There’s nine tables around the room, and there’s not nine instructors. And they have their laptops out, and who knows what they’re doing with those laptops. How have you responded? [19:37] The concern is the students won’t be on task. They won’t get the work done. They’ll chat about something. They’ll be shopping for shoes, or checking Facebook. What would you say to someone who has those concerns in the classroom that you’re describing? Cornelia: [19:51] I would say that a key is to keep the energy level high. The downside of that — what I mean now is to actually plan quite a few things for a class period — the downside of that is, it can come across…Believe me, even in our experienced time we can have classes that just utterly fail because we try to cram too much in and there’s too much of a discrepancy between student groups. [20:18] I think if you try to keep the energy level high, and you try to keep the…This is why these things can work very well for introductory level courses, because you keep the little modules focused on a very simple concept. [20:33] Really, what this is it’s a lot of work. A lot of work beforehand. In our case, it’s a lot of work with each other to essentially remove some of the content delivery, and assume that the students are going to prepare for class. Again, this is an active learning, best practice, and then get the students to use that. We do a lot of transparency with the students too. [21:17] There’s a little bit of almost like…You have to almost be a little bit like a parent, but I feel like we set the tone on the very first day. On the very first day, we have the students using three or four forms of technology, and trying to explain to them why it is so very important that they use their time in class well. [21:34] I would say that if you do that and you’re very positive about it to the students, they really do respond well. I would say that we actually don’t too often have the students “abusing the Internet.” We let them use any kind of resources for a particular part. [21:52] There are days though, I will say, where we don’t use any technology in the classroom. We’ll have all the laptop shut. We might have a few slides up on the main screens, but we won’t change it up. We won’t use the document camera. We might just have the students using the whiteboards. Sometimes our activities…sometimes we’ll do a review day, or something where we don’t have a worksheet. [22:14] We will just simply give people some small amount of points for participating. We’ll have the whole activity based on questions we post on the PowerPoint slides, and then work that they do at the whiteboards. [22:28] When you do that, when you sometimes have days where you don’t use any technology, then they start to see that this is not just about the technology, that this is about the learning experience, and there’s many different ways that they’re going to learn in this class. Derek: [22:42] That’s kind of profound, right, that you’re communicating to them that, “For today, given what we want to do and the kind of learning we want to have, these are the tools we’re going to use.” And sometimes that’s a laptop and an Internet, and sometimes it’s a whiteboard. It’s whatever the activity calls for. Cornelia: [23:01] You know, Derek, it’s very palpable. You can feel it when you’ve overused a certain part of the technology. This is what I would say is probably the downfall of a lot of instructors. We’ve taught in these courses some years. Some semesters, we have somebody else to rotate in, because somebody is on Sabbatical. People have their different styles. [23:44] If every class period is looking up information on the Internet, it’s not very effective. Or if every day is drawing a picture on the whiteboard, you can see them actually start to get a little bit like, “Oh my gosh, what are they going to have us draw today?” I mean, it’s a lot of work, [laughs] but I think if you can integrate it, you’re absolutely right. [24:06] I think over the years, we’ve actually become more transparent with the students. We thought that they would figure that out, that we’re using all these different strategies, and they would probably figure it out for themselves. [24:17] What we found is it’s even better to actually just say it. “Today we’re doing X, Y, and Z, because that’s what the task requires.” That helps them then realize that there are many ways that they can learn in that room and from us, and from each other. Derek: [24:33] Can you share another example of an activity that you’ve done, something kind of concrete to give a sense of that? Cornelia: [24:40] Yeah. An example of another activity that’s very popular is when the students explore the idea of colonizing Mars. This one is really fun. We do it in the spring part of the semester. This is another one where we design an activity with table components and team components. [25:01] The question is, “Do you think humans should colonize Mars?” With experience, we’ve decided that it’s actually best to just assign an answer to the table. We have yes, no, and maybe. Those are three possibilities. We have nine tables. Three tables get yes. Three tables get no. Three tables get maybe. We actually explain what yes, no, and maybe mean. [25:24] Then further, we divide the teams up into different working groups. One team will explore the geopolitical aspects of colonizing Mars, one team will actually write down what are the scientific reasons to colonize or not colonize Mars, and one team will look at the budget and that team has a lot of guidance because just raw numbers don’t get you anywhere. [25:48] You want to say, “What percentage of the federal budget is this, how much are we spending on this compared to the latest Hollywood blockbuster movie,” trying to put it into perspective. [25:58] Then the tables, again, have to collaborate together. This is all very structured. We’ve learned also that these things, you cannot be too open‑ended in these things. We ask them specific questions and then we have them do time together as the group, and then we listen to the different perspectives. [26:17] Then usually in something like that, as a whole class, we will have a discussion and we will vote on whose argument we think was most compelling, and who’s not. I would say, we have had a lot of luck in this particular course with whole classroom conversations and what we call great debates. [26:37] In the spring, where we deal a lot more with human origins — that’s where the Mars activity fits in — we do a lot of great debates across the classroom, where students would have read a book on when early humans first started using fire for instance. Then again, we will assign tables different sides of the argument, and then we will hear from each table. [26:59] Sometimes tables are assigned to be the judge. They will take notes on what arguments each side made and how convincing they were. Then they will have a chance to explain to the class who they think won the great debate. We do a similar debate on whether or not asteroids only killed the dinosaurs, or was it a combination of geological events. [27:23] The students get very heated. A lot of times, these things are what the faculty members are working on. We’ve had faculty members almost at blows in the classroom while the students are also debating at it. That has surprised me, because that’s an example of using an active learning classroom with very little technology. [27:40] In fact, those days, there was no technology on, and yet there’s something about the fact that they’re sitting at those tables, and that the microphones work so well. We have different kinds of microphones at the table. Again, because of the columns, we really utilize the microphones and that really makes the students listen to each other. Derek: [28:02] You answered the question that I was going to ask which is, what is it about this classroom that helps facilitate that type of debate activity? I do think that the furniture and the arrangements, right, audio–being able to make sure that everyone can hear each other — these are actually pretty key. [28:22] If you’ve got 12 students in a seminar room, that stuff doesn’t matter nearly as much. Once you hit 30 students, or even 20 students, to start to think about what are the physical affordances in the room and how can you use them to facilitate the activities that you want. Let me shift here for a little bit, because you often teach in more traditional classrooms. Derek: [28:43] What types of learning activities do you try to build into class when you’re in a lecture hall? How do you use technology to support those activities? Cornelia: [28:51] That’s more challenging I think. It’s probably more of what most faculty…Their daily experience is in classrooms like that. It’s been a few years now since I have routinely taught in those classrooms. I’m actually very interested to kind of “go back” to teaching that way, because my practice will be very much informed by what I’ve done in the Big Ideas classroom. [29:15] I have used clickers in a variety of ways for many, many years. I find them incredibly effective in terms of doing…What I like to do in those big intro astronomy courses is a lot of pre and post testing. There’s so many myths, and so many urban legends in astronomy. The full moon was bigger tonight that it usually is, true or false, or you can see the full moon in the middle of the afternoon. [29:44] I do a lot of stuff like that, where it’s preconceptions that students will come in with. A lot of them are right. A lot of them are wrong. Again, very low stakes questions. [29:57] The key with my experience with the personal response systems is you start them, really, on the first day or the second day of class. You set the tone early. You make it very clear what their parameters are because, otherwise, it causes you a lot of headache as the instructor when you’ve got 400 students and a lot of them are having clicker problems or…being very transparent at the beginning about what they’re going to be used for and why is really key. Derek: [30:21] You said pre‑test and post‑test. Are you scoring them based on the accuracy? Cornelia: [30:25] No, no. I mean those kind of in quotes. I might call them that, but I have moved away from doing actual testing or quizzes using the clickers. I did that in the early days before the course management systems were so robust in terms of doing quizzes. [30:44] Now, when I have students prepare for a class, I always have them do a short online quiz. Again, very low stakes, but just to check that they actually did the required reading for class. [30:55] I find that then I have to do less of that kind of actual quizzing during class. I find that I use the personal response systems in a much lower stakes, more conceptual way, partly to illustrate that especially with something like astronomy for non‑majors, students have a lot of ideas ahead of time on what they think about the night sky. [31:16] I think it’s really good for them to be able to see that what they think is very common. What I really love are the times when the majority of the class votes for the opposite of what the reality is. It’s very fun and light. Nobody feels bad that they voted for that. [31:31] Those are the really great moments because you can just see the little light bulbs turning on in the students’ eyes when you talk about the reason for the seasons or the reason for the phases of the moon. People haven’t stopped to think about that stuff, but it’s something that you experience on your walk to class. [31:47] We look a lot about how I tell them how they can tell the phase of the moon by what time of day they see the moon when they’re walking to or from class, depending on what time of the day their class is. Or there are certain phases of the moon that they will not see when they are walking to a 10:00 AM class. [32:03] I think clicker questions that are light and connect the students to the material, at least for those gen ed type courses, are really, really defective. I also like to have the students play the quiz bowl and Jeopardy! games. Those have been really, really popular, where they can phone a friend, or we have it set up where, if they’re up for it, they can come down to the front of the lecture hall and we have a spotlight on them. [32:29] We turn the lights off in the classroom. We have bells and whistles. The students who answer from the bottom level all the way to the top could get 100 on the next exam, if they get them all right. We have a lot of fun with that. [32:42] Then the other thing I really like to do with technology is give them little scenarios to work on with somebody next to them. Then you can have them re‑vote on a clicker question or even, in a big lecture class, they’ll sometimes volunteer to explain their answer to the class. [33:03] I think getting them to know their peers and the people they’re sitting next to in that class, there’s a way that technology can facilitate that. I try to do that just so that the classroom seems a little bit more of a personalized place. Derek: [33:18] I was wondering about the peer-to-peer piece, because that’s a really strong component in the active learning classroom. I know that it can be harder to pull that off in a more traditional lecture hall. [33:29] I’ll often advise faculty to consider a pair work because you can almost always turn to your neighbor and talk about a question. Teams of three and teams of four start to get complicated just with the physical arrangements. [33:42] I’m guessing also your role in the large classroom is a little different just because you’re not able to circulate among the students in the same way. Do you attempt that? Cornelia: [33:52] I don’t like to stay stationary. These days everything’s fantastic. You can have the wireless mic. You can have your clicker for your slides. The personal response systems have also made a little remote‑controlled device, so you can even do clicker questions without having to be up at the console. [34:14] I try to move around a lot, and I usually try to get to know some of the names of the students, especially if they sit on the sides, or they’re willing to answer questions. [34:21] Again, I think a lot of this starts on the first day or on the first week of class. If you set the tone right away that you’re going to be walking up and down, that you’re going to be asking people to give examples, making people feel comfortable talking. [34:34] I have not had a hard time in a big lecture to get students to speak. In fact, it’s usually the opposite, that I kind of feel like I have to get through a few more slides and I’ve got students asking question. [34:46] I also, this is a little traditional, but I really find short clips from Nova, series like Cosmos, and things they may have actually watched themselves on Netflix or other kinds of streaming. I find using those, not to take the place of a lecture, not a 15 minute clip, but using a 10 minute clip with some guided questions might appear in the notes or we might ask for a discussion when it’s over, is incredibly effective. [35:14] I think, especially with astronomy, which is such a visual subject, there are so many high definition graphics and special effects where they can show…a 7 minute video showing how a lander gets to the surface when it’s deployed in kind of an airbag set up. [35:31] I think those things are just critical not to miss in those big classes. Especially, again, for the non‑majors who their only contact with science after they leave the course is going to be through the media. Derek: [35:44] You mentioned that you’d be going back into that more traditional classroom space soon. Maybe as you think about that or maybe more broadly…one of the thing that we’re trying to do with this podcast is to explore the future of education technology and try to not so much predict, but to shape that future. [36:02] I’m wondering, where would you like to see educational technology go in the next three to five years? Cornelia: [36:10] I would say that the main thing we need is flexibility. What I actually see at the University of Iowa, we’ve made a major investment in the fully technologically equipped TILE classrooms and they’re brilliant. Derek: [36:26] TILE is the active learning classrooms? Cornelia: [36:28] Yeah, active learning classroom. At the University of Iowa, we’ve had a major investment in the technologically heavy active learning classrooms. What I see is that there is a nice sweet spot, which has a little bit less technology, but all of the flexibility of the active learning classrooms. [36:48] Here on campus, since our acronym for the active learning classrooms is TILE, we call this style of classroom, informally, TILE-lite classrooms. I’m pretty sure that that term was coined by my colleagues when we redesigned our laboratory classroom. [37:07] We called them TILE-lite because we didn’t want all the feature that were in the fully equipped TILE classroom, but we wanted a lot of the features. We wanted our own subset so that we could do things flexibly. [37:18] What I’ve noticed is the newer classrooms that have been designed in the last three or four years have had some of the technology and all of the flexibility. I think that’s what we need more of, are classrooms that seat between 20 and 60 students with flexible seating, power chords because most students have laptops. [37:39] You really don’t need the tables and the provided laptops from the university, but you need lots of whiteboard space and you need the ability to completely turn on some technology and the ability, for those of us who sometimes don’t want to use any technology, to have the classroom quiet. And to just have seats either for more of a lecture or just have seats where students can work in circles and collaborate and then share with the classroom. [38:05] I think that really is the future of classrooms. I think for that middle size range of classes, under 100, I think the lecture hall is not as effective anymore. We’re finding more and more that we’re not using our lecture rooms that are in the building for the 70 to 100 person classes. Many faculty are moving their courses out of the lecture rooms into these more flexible classrooms. [38:35] I think the more we can redesign when we renovate an older classroom into that kind of flexibility the better. You can still do a lecture in those classrooms very easily, but, if you wanted to do something else in those classrooms, you’ve got options. Derek: [38:50] Why do you think your colleagues are moving in that direction? Cornelia: [38:54] I think one thing that happens when you’ve taught in the active learning classroom is you feel really connected to your students. I notice even just a physical difference with the way that I interact with my students. [39:07] When I have walked amongst them, when I have stopped at a table or a seat to ask them their name, when I’ve helped with something they are working on in class, that’s a very different role than when you’re up in front of a lecture room and you’re so quite far away from your students. [39:22] I think my colleagues who teach in that middle-range size of class, and who’ve had an experience where they can walk amongst their students really feel very fulfilled by that. [39:49] If you have that flexible classroom you can do both. You can have two days of blackboard chalk and talk and then on Friday you can break them into groups, and they can be up at the blackboard, and you can be sitting at one of the tables. [40:04] I think that’s what my colleagues have seen. That’s certainly what I’ve seen, but that’s also what I’ve heard people say when we’re taking at faculty meetings about teaching and so on. Derek: [40:13] That’s really fascinating. I would agree, in a basic logical sense, if a classroom can do three different things, that’s a better classroom than a classroom that only does one thing. Cornelia: [40:42] Also, I do think that faculty are realizing that students are changing, too. We have different kinds of students than we used to. We have more and more first‑generation students. We have more students who come from slightly less advantaged backgrounds. [40:58] A lot of the educational research, as you know, has shown that these active learning classrooms can have the biggest transformational effect on students who come from a more varied background. Strong students are honestly going to do well in almost any environment you put them in, even online. [41:16] But the students who probably need us the most are the ones who can benefit the most from these times when you are walking amongst them and you are demonstrating to them that you’re learning alongside them. I think there’s something there, too, about the fact that faculty are starting to realize that the students are different than they used to be. Derek: [41:38] I’m going to end with a question we ask all of our guests. I have some guesses to your answer. Cornelia: [41:43] All right. I’ve talked a lot, so you probably have an idea of my thoughts. Derek: [41:48] We talk a lot on the podcast about digital technologies and so the question we ask all our guests is, what’s your favorite analogue educational technology? Cornelia: [42:01] I think probably asking students questions. It’s very, very simple, but I think about the part of each class period that I most look forward to is asking students a big question, hearing what they have to say, having another student add to it, facilitating that conversation, and then kind of summarizing it. I have to say that that’s probably it, the ask and repeat or whatever they say. Derek: [42:34] Well, the way that you’ve described your teaching, there’s a lot that happens to get them ready to do that. Whether it’s teams of three or teams of nine or this kind of research question or this activity, it’s all focused around the question and giving them the kind of structure and scaffolding they need to come up with a really good answer and be able to engage in those conversations. Cornelia: [42:57] That’s true. I think what we see time and time again, especially with those guided, facilitated, great debates, is we see a real progression which is always so rewarding and satisfying as an instructor. We see a progression through the semester of them getting better at it. [43:14] I really think it’s critical, especially for second and first year students who are primarily taking these courses or taking any of the courses in the gen ed program, that you give them examples of how to do it. Because, again, many students, you may ask them something about the extinction of the dinosaur, they don’t know where to start. [43:33] But if you can help the with talking points or examples of an argument you might make, it really brings them out of their shell and allows them to engage in that way where they get pretty hot around the collar. [43:46] I think that’s also a moment that we really love to see, is when you’ve basically got to cut it off. You realize, OK, we have engaged them in the way that they’re doing this themselves. It’s very little work for us. [44:02] I think you’re right that you have to build up to that, but you also have to keep your expectations manageable. They’re not going to be there the first day that you do it in class because they’re scared. Derek: [44:13] Thanks for talking with us Cornelia. This has been a lot of fun. Thanks for talking with us today. Cornelia: [44:18] Yeah, thanks so much. Derek: [44:22] That was Cornelia Lang, Associate Professor of Astronomy at the University of Iowa. See the show notes for more on Cornelia, “The Big Ideas” courses at the University of Iowa, and Iowa’s active learning initiative, TILE. [44:48] Follow us on Twitter @leadinglinespod and you can send us a voice memo with your thoughts on this at leadinglinespod@Vanderbilt.edu. We’d love to hear from you. [44:57] Leading Lines is produced by the Center for Teaching, the Vanderbilt Institute for Digital Learning, the Office of Scholarly Communications, and the Associate Provost for Digital Learning. This episode was edited by Rhett McDaniel. Look for new episodes the first and third Monday of each month. I’m your host, Derek Bruff. Thanks for listening.